Undercover Israeli soldiers invaded, on Thursday evening, Shu’fat refugee camp, in occupied Jerusalem, and shot a Palestinian child, causing life-threatening wounds. Tha’er Fasfous, the spokesperson of Fateh Movement in Shu’fat, said the undercover soldiers chased four children while walking in Ras Khamis area in the refugee camp, and fired many live rounds at them, seriously wounding one of them. 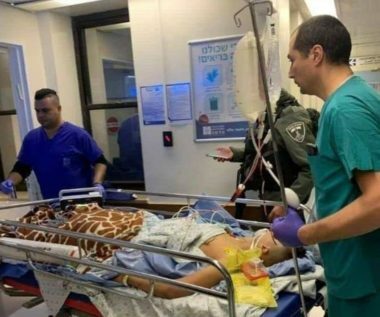 He added that the child, identified as Mohammad Essam al-Qawasmi, 15, was shot with live fire in his back, and was rushed to Hadassah Medical Center, in a very serious condition. Fasfous also started that, despite the serious wounds of the child, the soldiers chained him to his hospital bed, and added that the child was admitted to the surgery room.